From Foothills to Fog: Back to Blogging! Hello! And welcome back to From Foothills to Fog! As you might have noticed, it's been quite some time since I've hit publish on a blog post. The past year was much harder than I anticipated and challenged me in many ways. I started a new job in June and quite frankly, it rocked my world. I was in no way prepared for the intensity, demand, and pace of this new position. It was a complete struggle for me the first few months, and very draining. Our trip to Italy turned out to be a saving grace, and provided relief when I needed it most. After our trip, there were some changes at work that helped ease the pressure. And as the year came to a close, I was able to adjust more to this stage of my career, and start to accept it. One thing is for certain, in the past year I have learned a lot about myself. And even more about the dreams I have for my future. This year has felt like a fresh start. I feel motivated to follow my dreams, and work hard to achieve them. I've realized that to create the changes I see for myself, I have to change my behavior. I know that it's up to me to create the life I've always wanted. I've been focused on being present, and staying positive. For the past year, in the midst of the stress and adjusting to my new job and daily routine, there was something always telling me to go back to blogging. I made excuses because I "couldn't find the time" or "I don't have enough followers" and a zillion other reasons why not to. But when I really took a moment to listen to my intuition, I know this is a passion I should pursue. Even if nothing comes of it, I can look back and know I gave it my all. 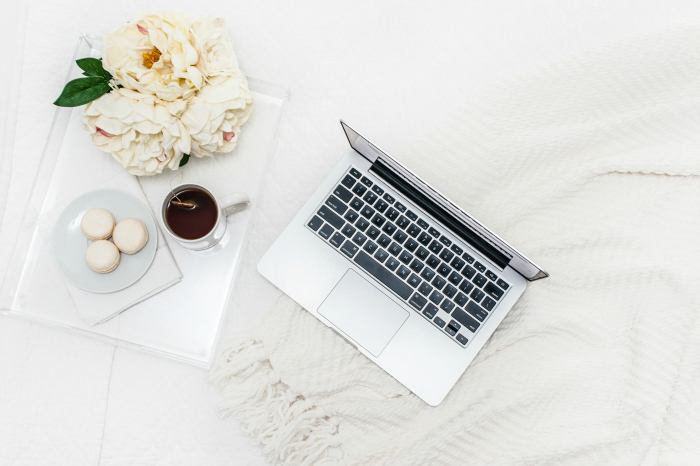 More than anything, I love the creative outlet blogging gives me and the chance to connect with other bloggers. I have a lot of fun ideas for this space, and I hope you'll all follow along. As always, it will be a true 'lifestyle' blog that shares a mix of our daily life, travel, style, home decor, and recipes. I also have some fun plans for posts specifically related to my two favorite places: the foothills and the fog of San Francisco/Bay Area. So stay tuned! I always love reading blogs that in addition to the content they share, really open up and give a glimpse into the real lives beyond the screen, so you can expect more of that from me. For now, my posting schedule will be Monday, Wednesday and Friday. So be sure to check back later in the week! Or sign up to receive posts right to your inbox. For those of you that stuck around, thank you so much for hanging in there. I think you'll find that the new and improved From Foothills to Fog was worth the wait! Awesome! So glad you're back and excited to read along with you! Thank you! It's fun to be back, glad you stuck around after all the silence.